Site was not showing up well in the SERPs (Search Engine Results Page). The website in question was not properly set up in WordPress. The first step we took was pulling this site out of the multisite and moving it a more professional hosting company that could handle the bandwidth. Once this was completed the search engines were notified of the change. The next thing done was to go through the back end of WordPress to be sure that the site was being crawled properly. Multiple anomalies were found, the site was not pinging out as well as no site map was being generated. Creation of automatic sitemap updates as well as submission to the search engines was done. Plugins were installed to help with SEO purposes as well as ease of posting. 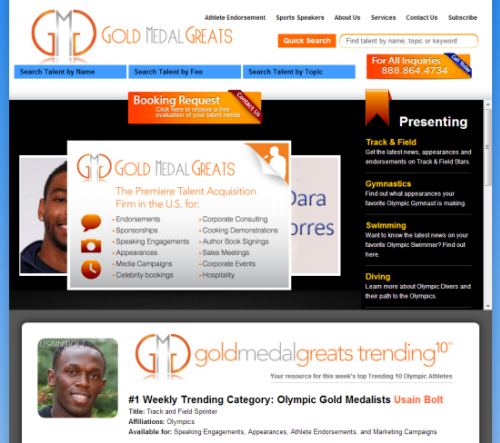 Next thing done was posts were generated based on current web marketing strategy. While the posts were going on page optimization was taking place. ComputerGeekz modified all of the current static content on the site in order to promote the site in a search engine friendly way. The client has a custom WordPress theme that had code problems that have been resolved in order to allow similar content to display preperly. PHP code modification had to be made in order to fix the problem with the search function. All contact forms were modified and updated to alert properly using 3rd party contact management software Sugar On Demand. Graphic design work completed to customers specifications. 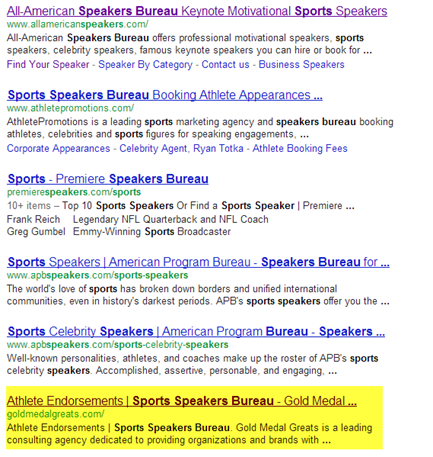 The number one search term for this client is “sports speakers bureau” when we took the account the client did not show up in the results a for this term at all. They are currently now in the number 5 spot in Google and leads have increased 300 fold. Method Used: White Hat SEO tactics. We listened to the search engines and made changes to make a relevant site about the subject matter the client wanted to show up for. Contact us today for more information on how to fix your website.